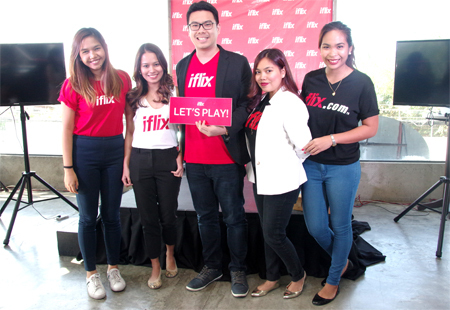 Southeast Asia’s leading Internet TV service - iflix has arrive and officially introduce to the Cebuanos. 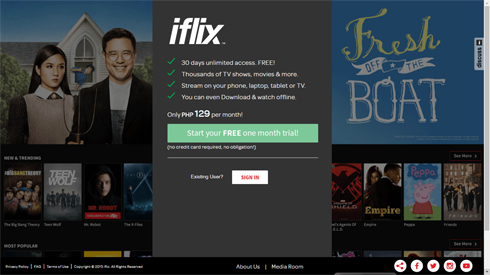 iflix offers subscribers unlimited access to tens of thousands of hours of top Hollywood Movies, Asian regional, and local TV shows and movies for a low monthly price of PHP 129 in the Philippines for unlimited access with no ads. Movie buffs can sign up for a 30-day trial with full access to all of iflix’s world-class features and content without having to submit credit card or payment details to participate. iflix is also avaialble in Malaysia and Thailand. Upon signup, iflix subscribers will instantly be able to enjoy unlimited access to iflix’s vast library of 10s of 1000s of hours of top quality Western, Asian and Local content. You can access to iflix on up to 5 devices whether phone, tablet, laptop, desktop, connected TV or other connected device. You can also share your iflix subscription and simultaneously watch different content on two different devices at the same time for each subscription. On the go, subscribers can download & watch offline and enjoy the content of their choosing. Go to www.iflix.com to register. Wattpad: Unwanted Girlfriend and Replacement Bride. 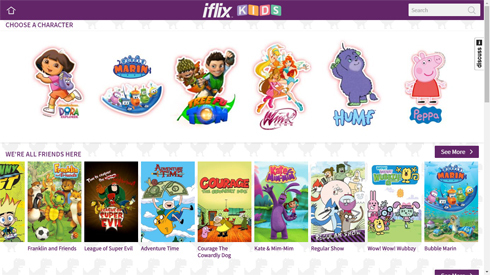 0 comments: on "Watch only the Best Movies, TV Series and TV Shows with iflix"